There is perhaps nothing more closely associated with swimming than a bathing suit and goggles. But what many people may not realize is that this is only a recent thing. The first time someone wore goggles in an international swim meet was only in 1970. Goggles for practice only showed up around 1968. But once they caught on, we’ve never looked back. 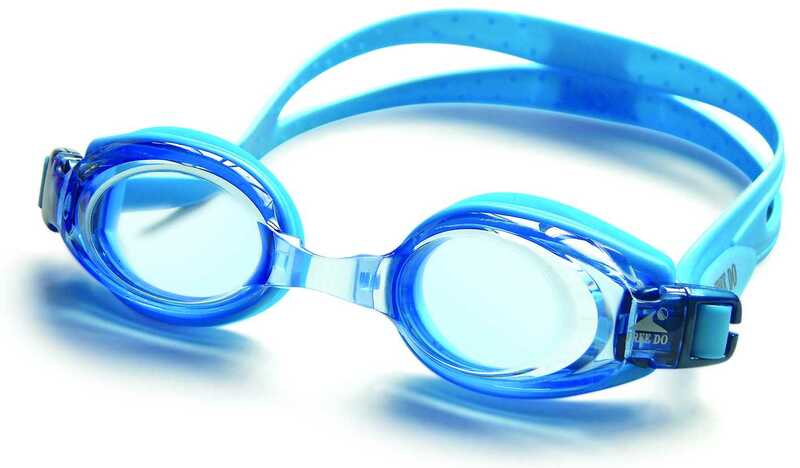 In fact, claims have been made that goggles have revolutionized the sport of competitive swimming more than any other advancement in the sport. Ever. And there’s good reason to think this. 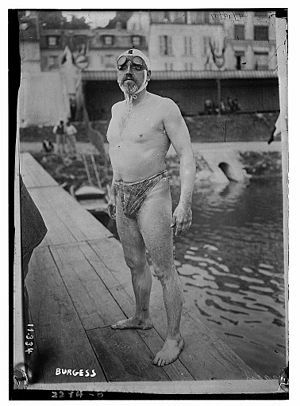 Before goggles, a swimmer’s eyes were often the weakest link. 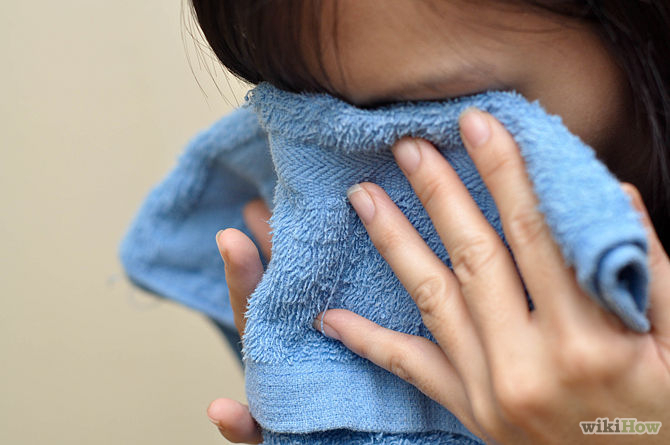 Swimmers would get out of the practice, with incredibly sore and red eyes, and a haze that made the world seem foggy. Training was therefore limited to how much abuse the eyes could take from chlorine, and it wasn’t nearly what even the most conservative teams do today. Goggles changed all of that. Basically, goggles just need to keep water away from the eyes, and as a side benefit, allow us to see much more clearly. With such simple requirements, its not surprising that there are dozens of companies making goggles, and hundreds of different types out there. Let’s explore the world of swim goggles, starting of course with the history. The first recorded accounts of goggles are of 14th century Persian pearl divers. Apparently they used the translucent outer layer of tortoise shell to protect the eyes. I can’t imagine that was a comfortable fit. 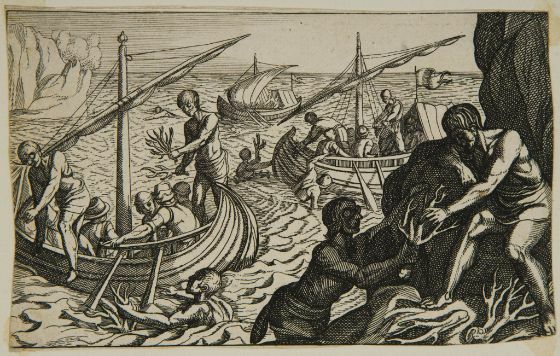 This idea spread to Europe, leading to accounts of Venetian pearl divers wearing something similar, as you can see in this illustration. 18th century Polynesian divers had perhaps the most unique goggles ever recorded. Made only of very deep waterproof wooden frames, the divers kept their faces down, trapping air in the wooden frames. No lenses at all. In 1911, Englishman Thomas Burgess (seen below) used motorcycle goggles when he was only the second person to swim across the English Channel (his 11th attempt). They leaked, but since he swam breaststroke his eyes were fine. At that time, front crawl was not fully accepted as a ‘proper’ form of swimming yet. In 1926, Gertrude Ederle became the first woman to swim the Channel, and the first person to swim it with front crawl. 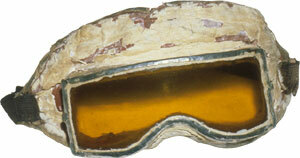 She also wore motorcycle goggles (these beauties shown below), which her sister kept sealed with paraffin. 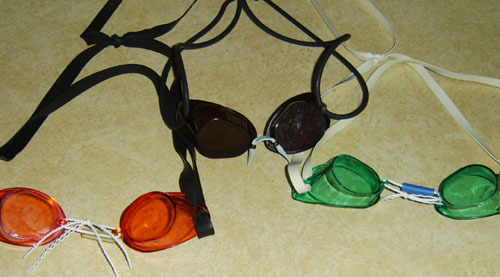 By the 1960s some brave swimmers were making their own crude training goggles. 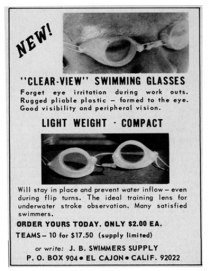 But it wasn’t until 1968 that the first commercial swim goggles were available, shown below in this Swimming World ad. These goggles had no sealing gasket, and were just a hard plastic that painfully pressed into the eye socket and often leaked. They were not a big hit. But the trend had started and many manufacturers jumped in. In no time at all there were numerous types and models, and generally a non-leaking type could be found to fit most faces. Interestingly, these first goggles were initially considered training aids, and therefore were not allowed in competition. FINA quickly changed that rule and by 1970 they were allowed in competitions. David Wilkie became that first person to wear them in international competition, and the swim world has never been the same since. By the 1972 Olympics goggles had become standard equipment for virtually every serious swimmer. Faces come in all different sizes and shapes, and so do goggles. 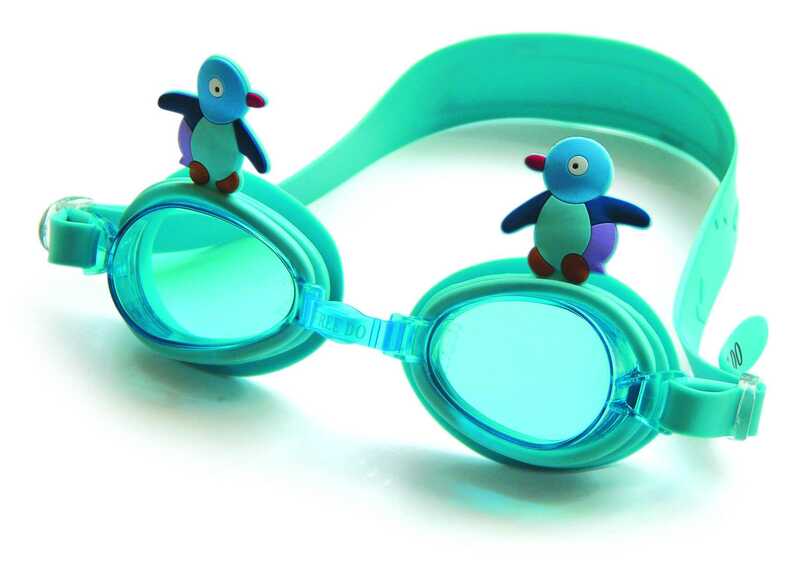 There are three main parts that have to fit with swim goggles. 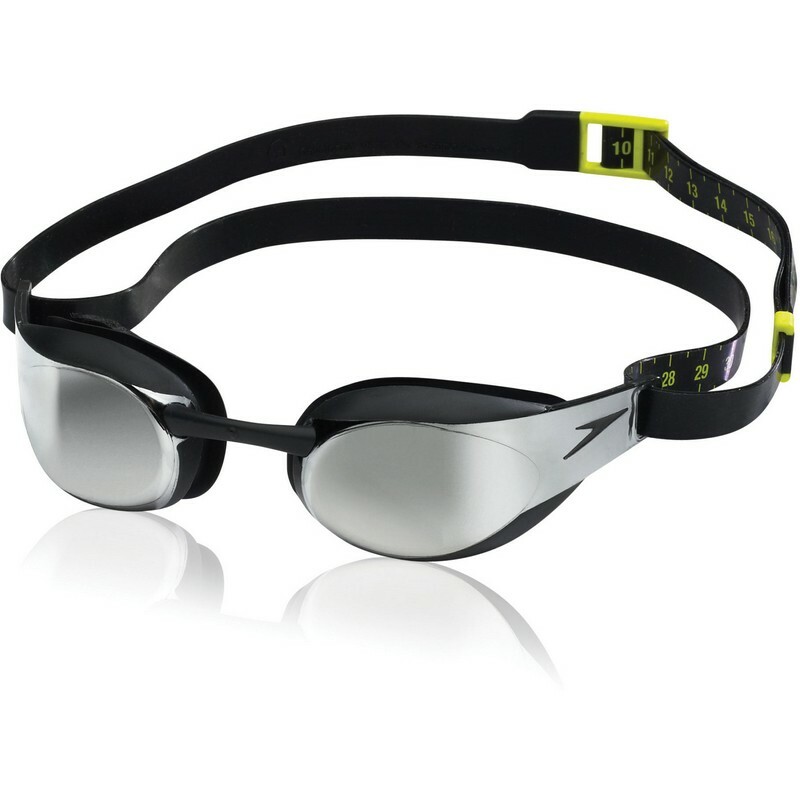 Of all the different types, the simplest and usually least expensive are Swedish goggles (seen below). These are just two eye cups of relatively hard plastic, a nose bridge consisting of string and tube (different lengths can be provided), and a rubber strap. Simple, inexpensive, and there are still swimmers who swear by them. In contrast, one of the most expensive types are Speedo’s Fastskin3 Elite. 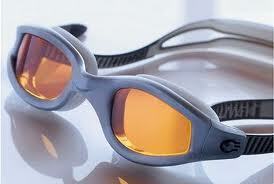 These come with the claims of reduced drag and enhanced peripheral vision to better to see your competitors. But these are 2-3 times the cost of other competition goggles. Lens colour is another consideration. 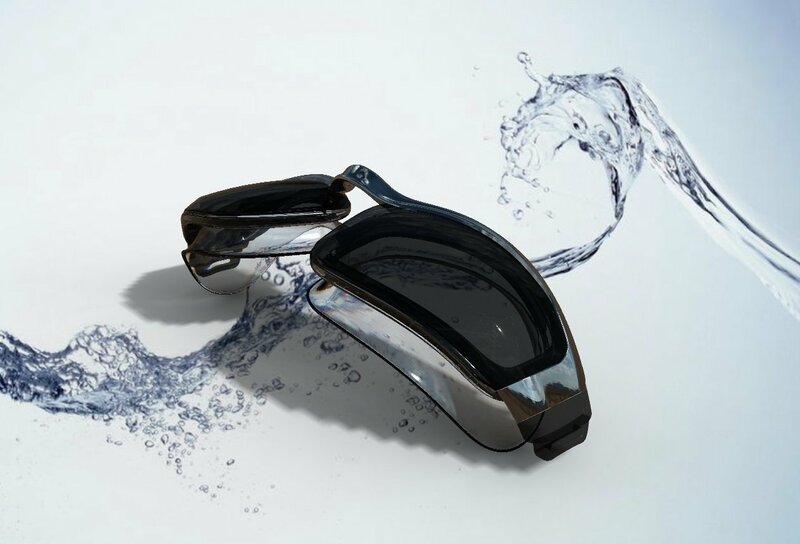 They come in clear (for darker indoor pools), through an impressive selection of different colours, to smoky and even mirrored (for outdoor swimming). The main manufacturers are Speedo, Tyr, Arena, Nike and Aquasphere. By now you should know you can’t just buy the first pair of goggles that you see. There are two simple tests what will help you. 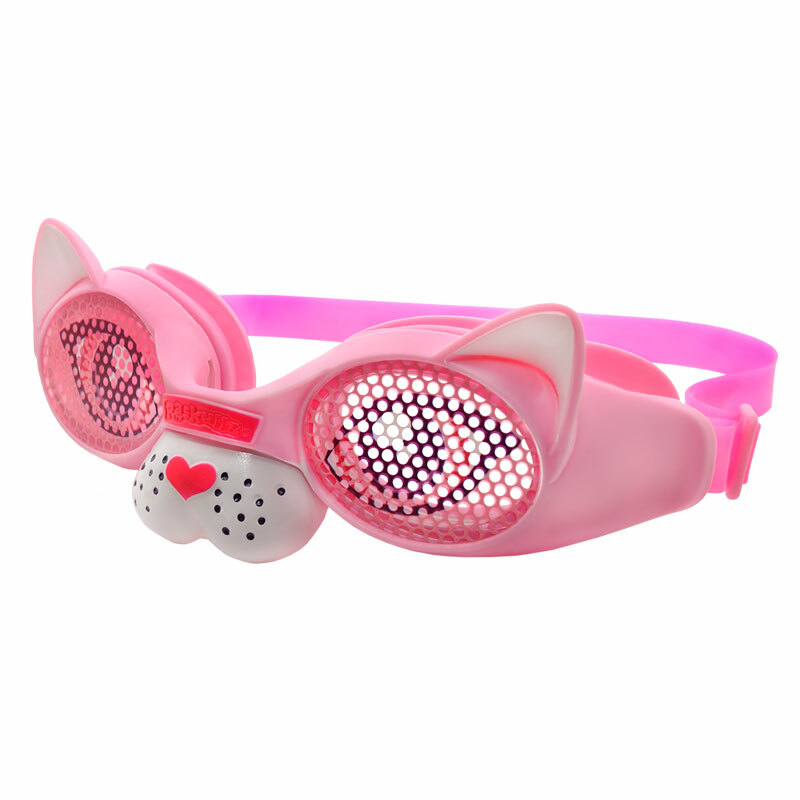 Gently push the goggles into your eye sockets without using the straps. They should seal well, providing a gentle suction, and fit comfortably. With the straps on, the nose piece should sit nicely on the bridge of the nose without digging into the skin. If either of these tests fail, look for another type of goggle. No matter how cool they look on you. When not diving, the straps should be fairly loose to avoid prolonged pressure on the eyes. If you need to tighten them to keep water out, then you either need new goggles, or you need a different type of goggle. There are many reasons why swimmers are so much faster than 50 years ago. Better science, smarter training, different swim rules, etc. But in my opinion goggles remain the biggest reason. If you don’t think so, try swimming a week’s worth of practices without goggles and see how you feel…. Previous Post Is Meet-Free March a Good Idea? Really enjoyed reading your article. Can’t disagree with any of it. Goggles have certainly improved a lot from when I was a nipper. All I can think of now is “OUCH”. Hard plastic, dear oh dear. Why don’t they allow people to dive with speedo goggles?